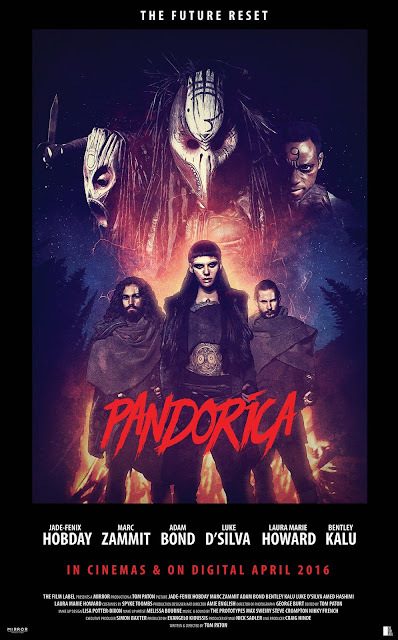 Set in a post-apocalyptic world following an event known as "The Great Reset", Pandorica tells the story of three young tribe members that are led into the woods to endure the "trial": an overnight event that will decide the new leader of the Varosha Tribe. The Varosha are a group of survivors of The Great Reset, some unknown element that wiped out civilization sparing only the most isolated of communities. We are introduced to Eiren, Ares and Thade, our three hopefuls and their current leader, Nus. None of them, not even Nus, knows what their trial will be. All that is known is that only one them will return from the forest to hail as the new leader of the tribe. When a mysterious woman stumbles onto their campsite carrying a mysterious box, their trial is revealed to them. They soon discover that a trio of deadly assassins are in search of this box, and it's up to them to destroy it before it falls into the wrong hands. Pandorica, directed by newcomer Tom Paton, is an interesting film. Not quite horror, not quite sci-fi, it's an impressive freshman effort from Paton who has nothing else on his IMDB, other than a new feature that is currently filming entitled Redwood. Boasting beautiful cinematography and a solid original score, the film is set up nicely as we are introduced to our small ensemble cast. I was pleasantly surprised at some of the shots that introduce us to this post-apocalyptic world and commented on what a beautiful film this would be to watch on the big screen. Paton absolutely capitalized on his small budget, and the world that he created with it should be commended. While the writing was a little spotty at times (next to nothing is explained about The Great Reset, in fact it's never even mentioned by the characters) the film is well paced. There are moments when I wish we received some more background information about aspects of this new world, but perhaps most of that was left on the cutting room floor. I can't fault Paton too much for that one. Moments of seeing these characters discover artifacts from the "old world", as they like to call it, were fun and added a nice element to the film that is not often seen in horror films released now a days. And on that note, I have to applaud Paton's effort to create his own world in this film, it felt like Alien meets Battle Royale. Unfortunately, I feel that the film ultimately suffered greatly from poor on-screen talent. In all honesty, I did not feel that there was a solid performance out of anyone in the ensemble. Jade Hobday, who plays our lead heroine Eiren, delivered a mild and forced performance giving me the feeling that she was cast based on aesthetic purposes, and Marc Zammit (Ares) was extremely one dimensional in his attempts to bring a villainous tone to his character. 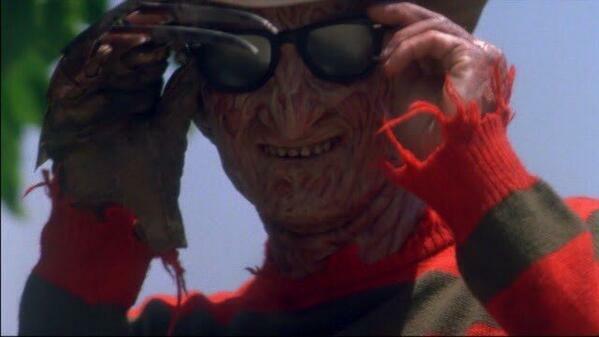 As much as I hate to say it, the performances gave it the feel of a high budget home movie, or high school project. While they each had their believable moments, more often than not I was left wondering if some of the budget that went into equipment and costume design should have been allotted to their casting department. I'm used to seeing a spotty performance from one or two cast members, but I ended up feeling like it was taking me out of the film, which is unfortunate because I was so set-up to enjoy this experience. 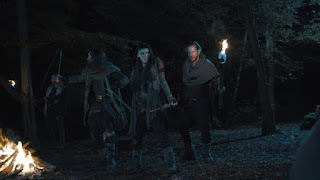 Pandorica was a film that I wanted to enjoy, it captivated me from the get-go, however I was lost along the way and it was unable to recapture my attention as the film went on. I do feel that Tom Paton is a promising new director, and I will be interested to see his next feature, I just don't think that I'll be recommending this one to friends and family any time soon. 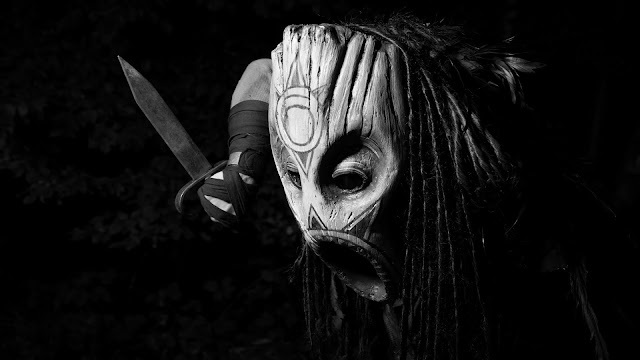 Pandorica is now available in select theaters, On Demand, and DVD.